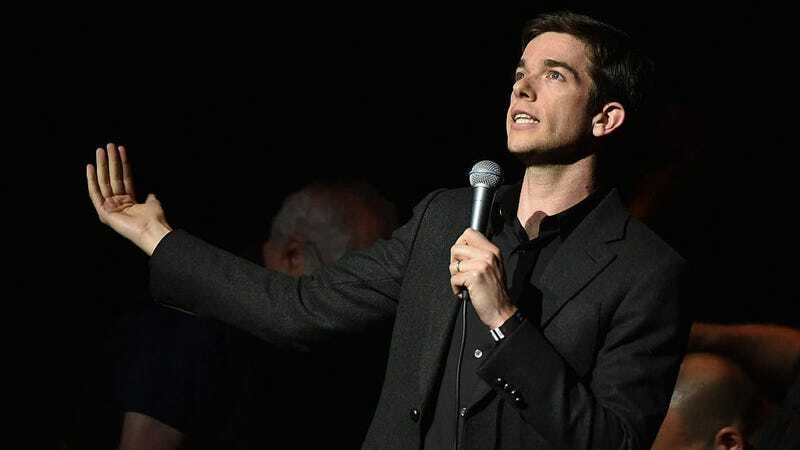 Get ready for more of The Comeback Kid (in a sense): Netflix has just announced a new stand-up special from John Mulaney. A press release teased the upcoming John Mulaney: Kid Gorgeous At Radio City, which was filmed during Mulaney’s sold-out, seven-night run at Radio City Music Hall earlier this year. It’ll stream globally on May 1. Mulaney’s partnered with Netflix on multiple projects, including the Emmy-nominated Comeback Kid, which marked a triumphant return to form, as well as the digital release of Oh, Hello On Broadway. You can also hear Mulaney and Nick Kroll’s voices in the bawdy animated series, Big Mouth, or see them perform comedy for a good cause as part of Seth Rogen’s Hilarity For Charity.